Nokia 8 Android phone to be launched on August 16? HomeNewsNokia 8 Android phone to be launched on August 16? HMD is preparing to unveil its flagship Nokia-branded Android phone next month. The phone maker has started sending media invites to an event in London on August 16th, just days after a Nokia 8 handset leaked. 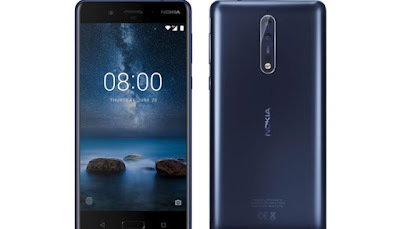 The new Nokia 8 is expected to be unveiled on August 16th, and it will mark the first time a Nokia-branded Android device ships with Carl Zeiss optics. The Nokia 8 is rumored to include a dual-camera system with 13-megapixel sensors and Carl Zeiss optics. The Nokia 8 is also expected to feature a 5.3-inch display (2560 x 1440), a Qualcomm Snapdragon 835 processor, 4GB or 6GB of RAM, 64GB of storage, and dual-SIM models. A copper gold model of the Nokia 8 appeared online yesterday, looking much like a chocolate bar. Thankfully, HMD is also expected to introduce blue and silver models. HMD’s launch event will take place in London at 7:30PM local time on August 16th (2:30PM ET / 11:30AM PT).